2012 doesn't just mark the beginning of the Olympics in London - it also signals the end of the analogue signal in the capital. The government started the process of switching to the digital signal back in 2007 and London is next in line to receive a digital overhaul. Phase one has already been completed with BBC Two disappearing from the analogue signal completely. The switchover is now complete in London which has, most notably, resulted in the loss of Ceefax the text-based 'red button' service which existed long before digital services were introduced. Meridian and Tyne Tees will be switched over later in the year resulting in the complete removal of Ceefax from the UK. To switch over to digital, you need to have either a digital box or, ideally, a television with a digital signal built-in. There are a number of digital boxes to choose from with a basic Freeview box starting from just £20. You can also choose something similar with Sky or Virgin Media if you want a wider range of channels, but these incur a monthly subscription charge whereas Freeview offers the option of a one-off payment. Existing Freeview viewers will have to re-tune their Freeview boxes in order to keep the digital signal and to update the extended channel list the switchover is offering. Sky, Freesat and Virgin Media subscribers will be unaffected by the switchover so will not need to retune. Offers up to fifty channels, four HD channels and digital radio. Basic boxes start from £20. Freeview is exactly as the name suggests – free. You only have to pay for the box. 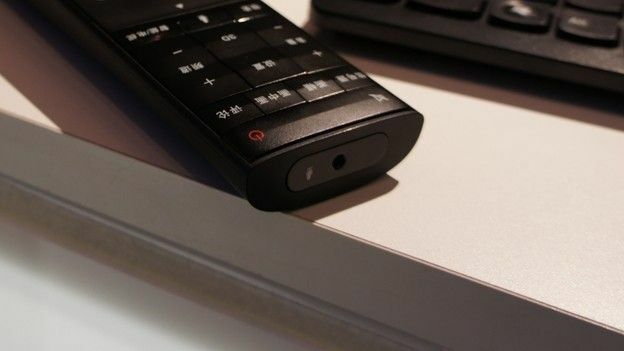 Viewers have the option of paying more for a Freeview+ box which gives subscribers the added benefits of pausing live TV and recording programmes onto the device to watch at a later date. You can also get Freeview HD in some areas. Purchase Sky TV which offers unrivalled sports, movie and documentary channels. There is a monthly subscription charge depending – this varies per viewing package – and you can also opt for a HD or recordable box. The Virgin Media TiVo box works similarly to Sky and is also offered on a subscription basis. You get a Sky HD box and over 240 digital channels as well as digital radio and six HD channels. There is no subscription fee, you just have to pay £175 for the box and Sky will install it for you. Bless 'em. A slightly different variant of Freesat from Sky. You get fewer channels than the box Sky offers but you get a choice of what kind of box you would like. You can add the ability to record onto the device, although this increases the initial cost. Boxes start from £50 plus an £80 installation fee. The benefit of switching to digital is not just limited to extra channels. Perhaps the most important is the improved picture quality. Digital TV offers a massively improved picture over its analogue predecessor. It also offers an improved digital text service that presents viewers with the option of viewing different screens. This is best used on BBC News where you can switch and watch a particular topic of interest. Viewers will also get a digital TV listing menu which displays more information about what is currently being broadcast and details on future programmes. It's not just the main television in each property that has to be converted to digital; it's every single one in the house. Almost one million TV sets will become obsolete in London by the end of the month, according to Digital UK. “We know from previous switchover experience that some people just leave things until the last minute,” says Digital UK London manager Deborah Bain. Well over 90% of people have already ensured the main TV set is ready for switchover or digital, but we are now trying to reach people who have forgotten about the second or third set in the kitchen or bedroom," Bain adds. There's a scheme set up to help people who might struggle with the switchover process. A whopping £200 million pounds is being spent to provide a select number of people with the technology they need to go digital. The scheme is designed to help those people on low incomes, the elderly, disability benefits claimants and people who've been in care for over twelve months.